Max Scherzer is the Tigers' ace in 2012. 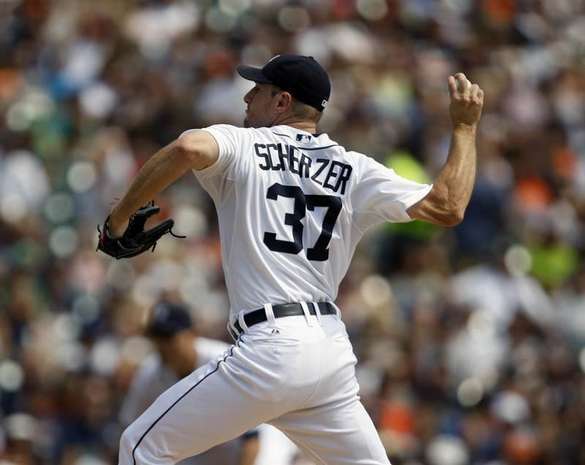 Scherzer pitched 7 innings, allowed 4 hits, 1 run, 2 walks and racked-up 9 Ks in a 5-2 Tigers win against the Angels. Prince Fielder and Delmon Young hit back-to-back jacks. 11 starts in a season since Mickey Lolich had 15 in 1971! Max leads the league with 195 strikeouts.